Over the past few months, the financial system in the US has suffered a bit of a meltdown.Â The politicans are all pointing fingers at each other, while riding to the rescue of ailing insurance companies, banks and brokerage houses to pay for their errors and, in some casese, criminal misconduct, with taxpayer dollars. If you ask those same politicians about a national health care system, they are quick to call it “socialism” and “welfare” and say it’s not the American Way.Â Apparently, with the current financial problems, those same politicans are not quite so opposed to socialism. The case for universal health care in the United States. Americans pay 40% more per capita on health care than any country in the world that has universal health care.Â We’re far from the healthiest nation with a higher infant mortality rate and a lower expected life span than many other countires. To me, this is the “sentinal” issue that I use in deciding who I vote for.Â As you might guess, Barack Obama is going to get my vote. 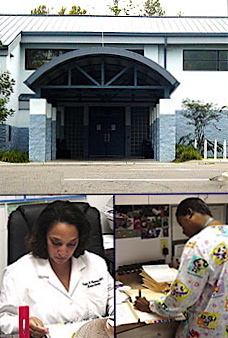 The image in this posting is from the web site of the Bond Community Health Center, a group of local heros in Tallahassee, Florida who operate under a very limited budget and who provide health care to a limited number of local citizens. So, you happy that you voted Obama now? So far, he’s pretty much my hero. I don’t agree with all of his plans but on the whole, he’s doing a great job and a much better one than that other guy who was there before him.